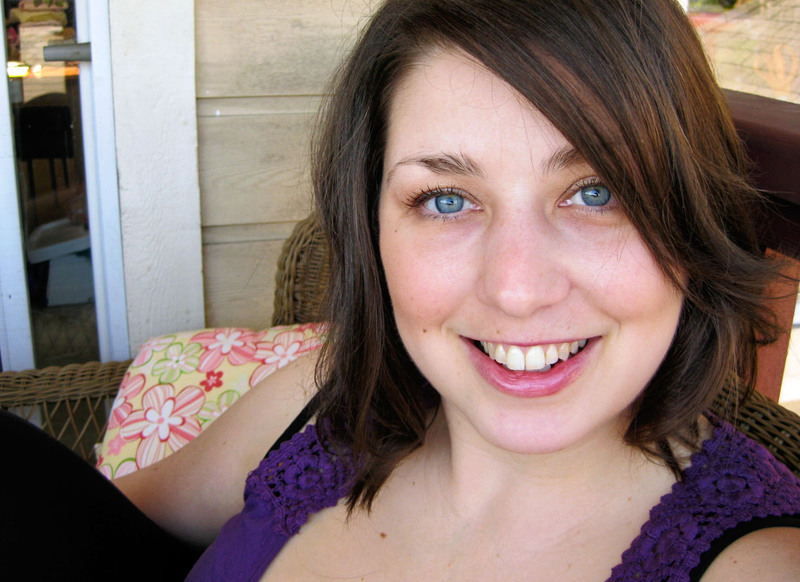 Please give a really warm welcome to today's guest Shannon from luvinthemommyhood. A Little Orange Goes A Long Way dress left. Ruffled tee shirt dress right. 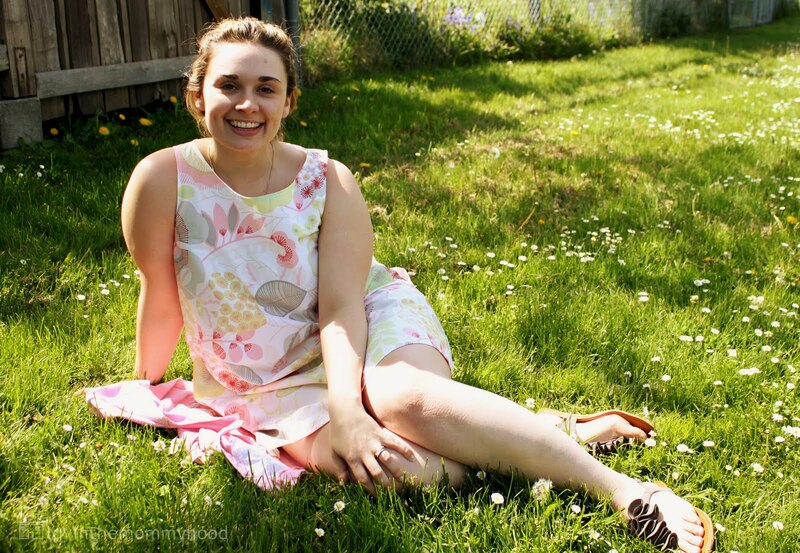 I discovered Shannon's blog through several introductions. 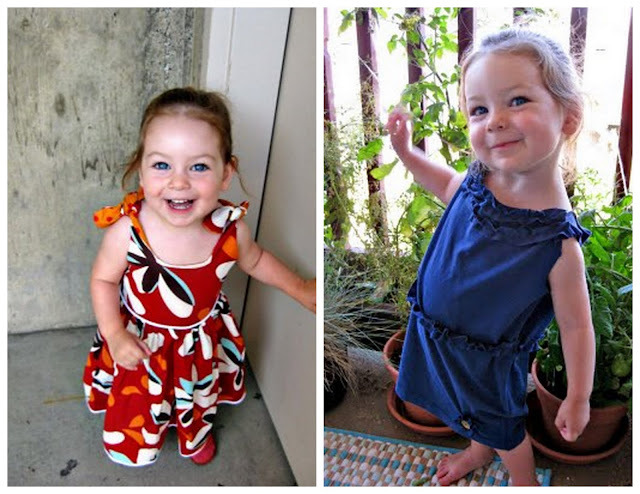 First Shannon left some lovely comments on a few Grosgrain posts and I clicked through to visit her site and was pleasantly impressed by her photography and cute kid clothes. Second, she posted some of those adorable clothes on my flickr boards which I featured on my flickr fav posts. 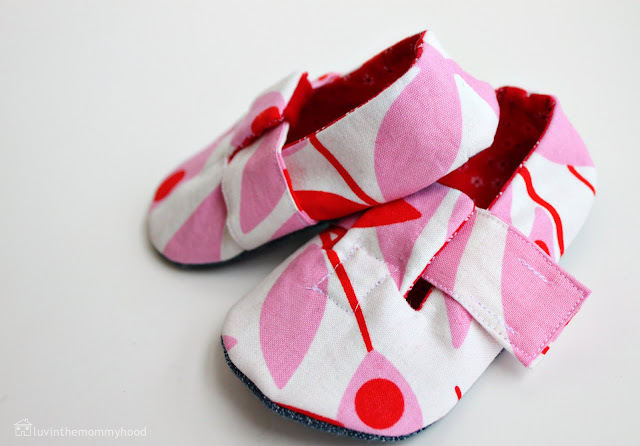 Third, she and I both participated in a guest blogging month on another crafting site in which she made some adorable repurposed coveralls from maternity jeans for her daughter. And finally, I started following her Pintrest boards which NEVER disappoint. I love visiting Shannon's blog because she not only talks about crafting but also about being a mother and enjoying her kids. It's a great place where both worlds intersect. Back to School Backpack above. "luvinthemommyhood is a fun, friendly neighborhood where crafty, creative moms can come to connect, enjoy a cup of coffee & some girl chat and share in all the fabulous, scary, hilarious & inspiring things that come along with living life in the mommyhood." Thank you Shannon for participating this month with me! I can't wait to see what you came up with! Hi everyone! I'm so thrilled to be here on Grosgrain today! When Kathleen asked me to be part of free pattern month I literally squealed! I thought I was hallucinating when I saw her email pop up asking me to join in on Free Pattern Month! Woot! Woot! I'm so excited to be on one of my fave blogs!!!! It was perfect timing because I had been preparing to do something I haven't done before....make a dress for myself! That's right folks! Something for ourselves. Not for the kidlets. Not sure about you but I'm always sewing for my kids or for gifts and I always seem to get put to the wayside. It's scary unknown territory for me to make a dress but I knew I had to do it. Kathleen, whom I like to affectionately call "the queen of dresses" inspired me to give it a go. I've been so frustrated dress shopping lately and haven't been able to find anything that fit me right that covered the dreaded post baby bump (hate!). Darn c-section :P So instead of whining and crying to my hubs and anyone else who would listen I decided to just make one. Thus the Modify Dress was born!!! I've been feeling so inspired by old movies (mostly from the 60's) lately and wanted a fun, short, mod spring dress that's simple to make and simple to "modify". 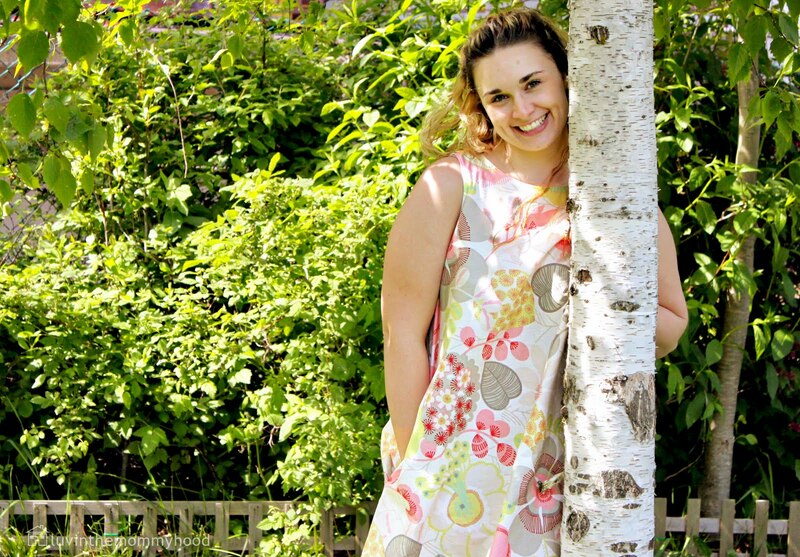 This dress will give you a great base to personalize, add some pizazz too or keep modern and simple. It's flattering and can be worn a ton of different ways. Lengthen it for fun or shorten it to make a tunic. Sleeves..no sleeves. V-neck or round neck - it's up to you. 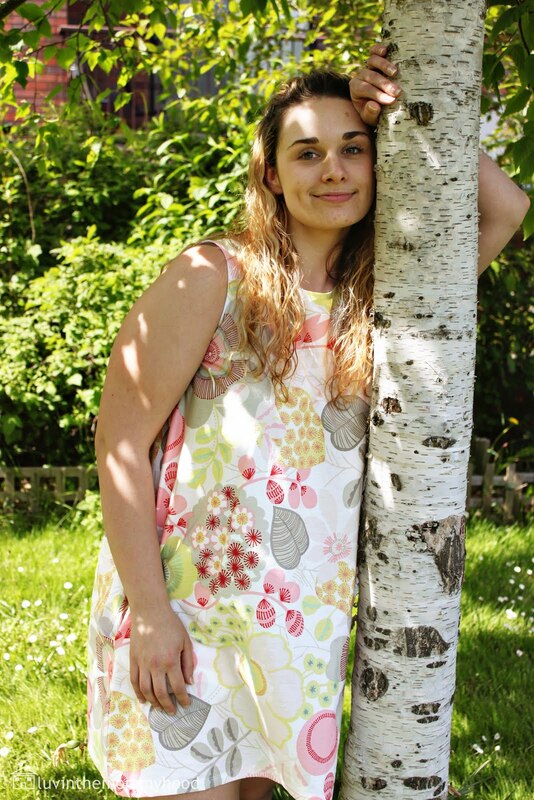 Add length and width to the front panel and you've got a great maternity dress! And the best part is that there are no pieces to print out, this dress is all customizable to your own body size. So no gaping at the arms, tight boobage, or pulling on the hips. 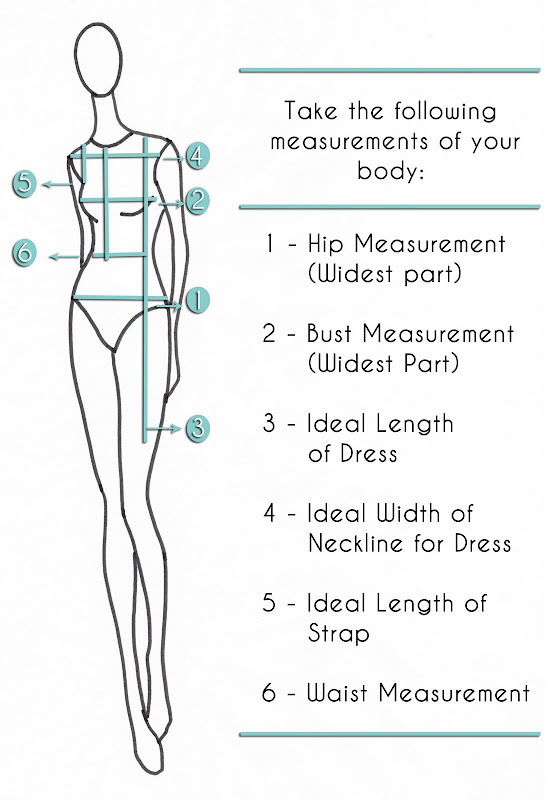 You use your measurements to create the dress that's right for you. 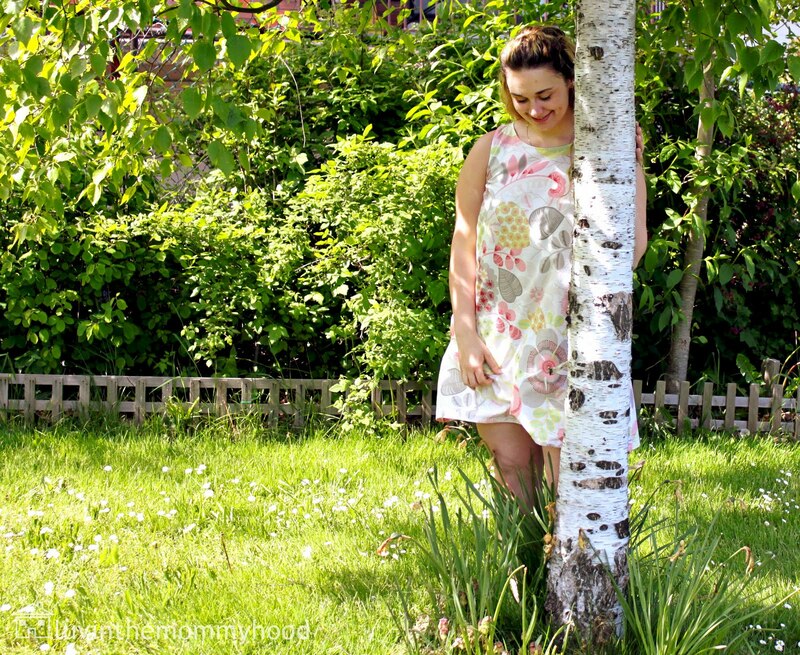 wherever you plan to wear this dress you'll be comfy, stylish and relaxed. I still consider myself a beginner to intermediate sewer and I'm still learning so this tutorial is written in a way that I find easy to understand. There may be more technical terminology or fancier ways to do things but hey....we all gotta start somewhere right? I also decided to do something different with this tutorial. Instead of photographing every single step (which I usually do) I decided to try drawing some this time. I'm a very visual learner but I sometimes find it hard to see what people are doing in pics and thought it would be fun to mix it up. I love to draw and grew up an art geek so it was nice to get some time with my pen and paper instead of computer. 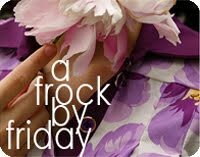 So get ready to modify, customize and sport a rocking dress and, if you're like me, hide that post baby bump!!!! - 2 yards (plus depending on your size) of main fabric. I used light weight cotton. - scraps of contrasting or same fabric for pockets, to cover buttons and to make your own bias tape if you choose to. 1) Start by taking measurements of your body. This can be a bit tricky sometimes so if you have a pal around to help take advantage of it. Write down the measurements shown in the diagram. 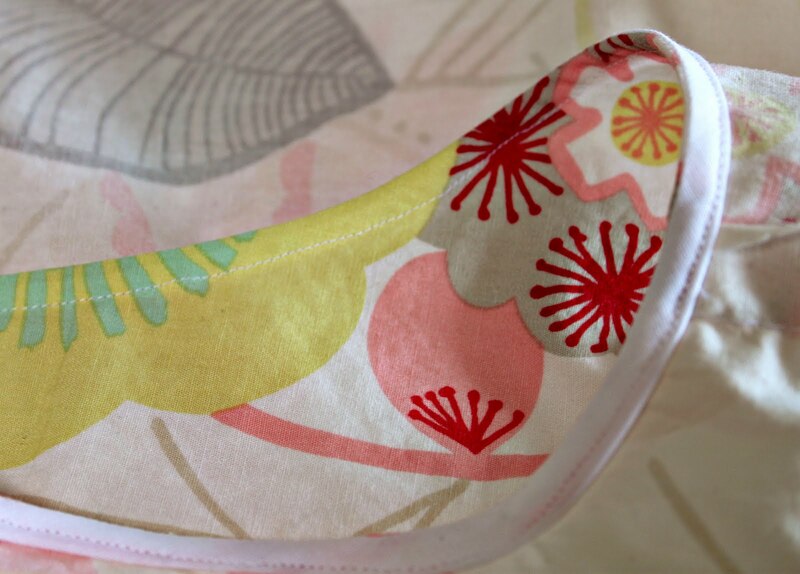 2) Make sure your fabric is washed, dried and pressed before sewing and starting a project. The last thing we want is a dress that shrinks after the first wash :P Fold fabric in half making sure the stretchiness is going left to right instead of top to bottom. Test this by pulling on your cotton to see where the give is. Your Hip Measurement + 4-5"
Your Bust Measurement + 3-4"
Keep in mind these are just a suggestion. You can also search on google information about adding ease to your garment and more in depth information on taking your measurements. Option A: Sketch out your dress. Draw a rectangle on a piece of paper. On this rectangle mark down your measurements. Now we're gonna play some connect the dots. We're going to draw a bit of a triangle to replicate the shape of the dress. 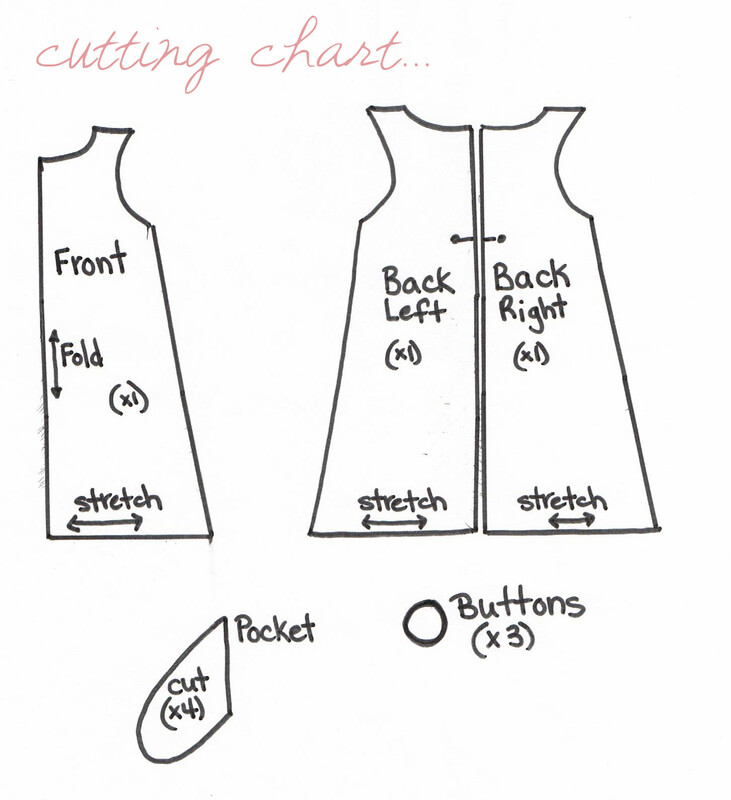 This will give you a rough idea of what to draw and cut out of your fabric. - I'm doing a mod style dress. I drew out a rounded neck that dips lower in the front than in the back (so I don't have to worry about the girls popping out) with wide straps (to cover the bra). I also wanted my dress to be loose (to hide the overhang..you all know what I'm talking about..don't pretend ya don't..haha) and short to show off my gams :P The fun part is that this where you get to play! Do you want a v-neck or round neck? Or maybe a boatneck? Draw it out. Do you want sleeves or no sleeves? What length? 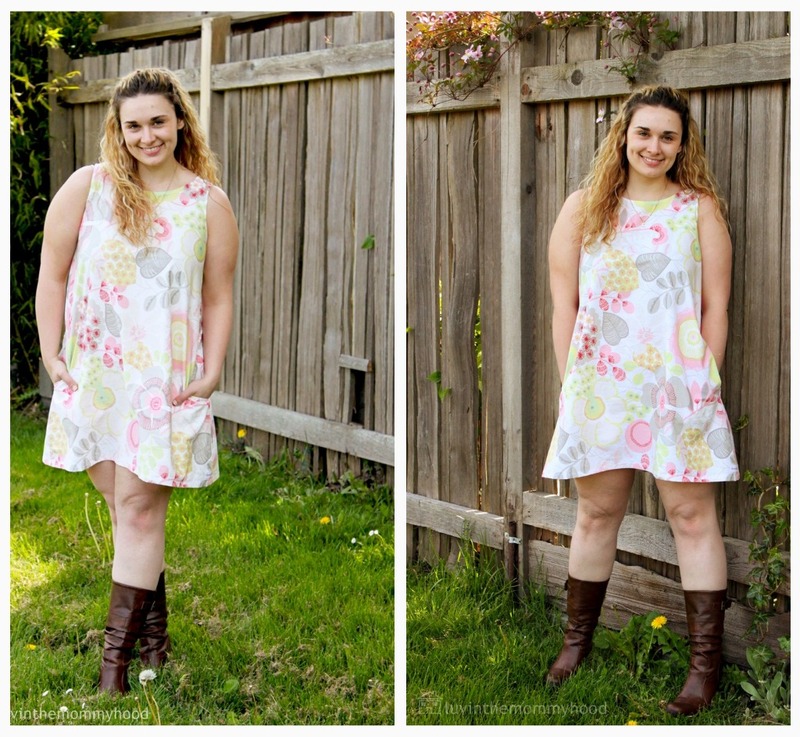 A tunic or dress? Now is when you can decide. It's all up to you. -You can now choose to transfer this to size on freezer paper or other paper you use for pattern tracing and then use this as a pattern to cut out your dress or you can move on to Option C at this point, like I did, or skip this step and move on to Option B. Option B: Use a dress you already own and like the fit of as a template. Lay the dress down on your fabric (folded and then placed on the fold) and trace around the shape adding your seam allowance and making the modifications to the basic shape of the Modify Dress (I didn't use this option as I currently don't have a dress that I like the fit of). There are a ton of great tutorials online with tips on how to do this option. 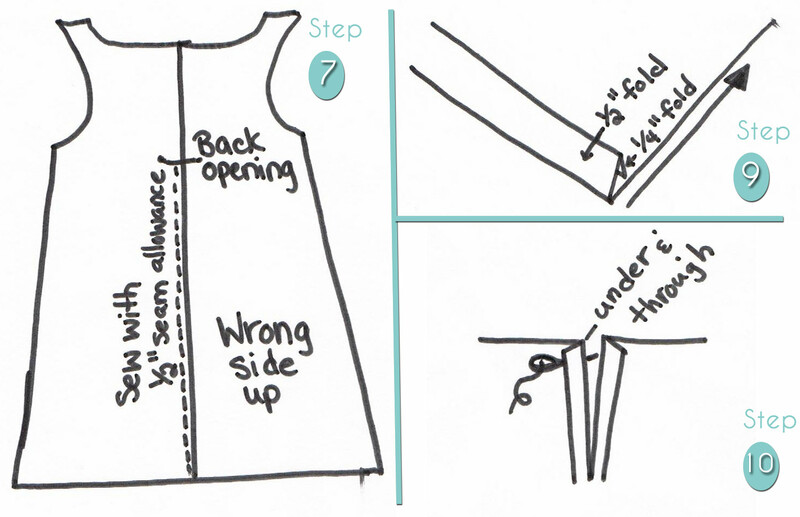 Option C: Use the sketch you drew and your measurements to make a mock dress from muslin or other fabric. 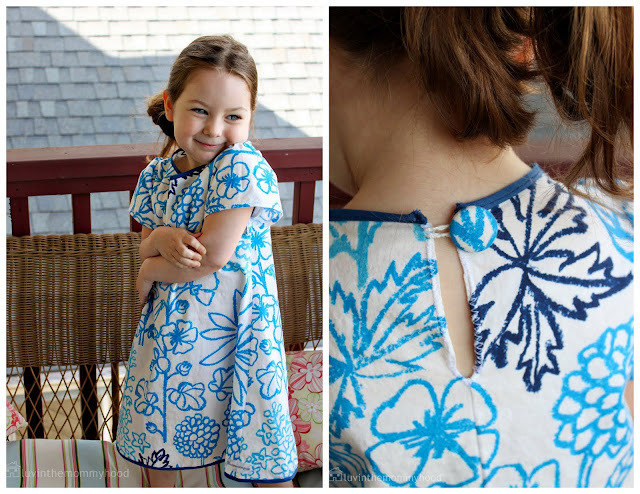 I used a plain white cotton to make the dress so I could put the tutorial together for you all. I liked the idea of having the mock dress to play with after and change up etc to make another dress and use to trace out on pattern paper to keep for later sewing. This is a great dress to use as a standing off point for your body sizing for a ton of other dress styles. I also find it easier to do this method as a new sewer to get accurate sizing and fit for my body. I find it a fun experience to learn by trial and error how to make the correct adjustments for fit to my body. 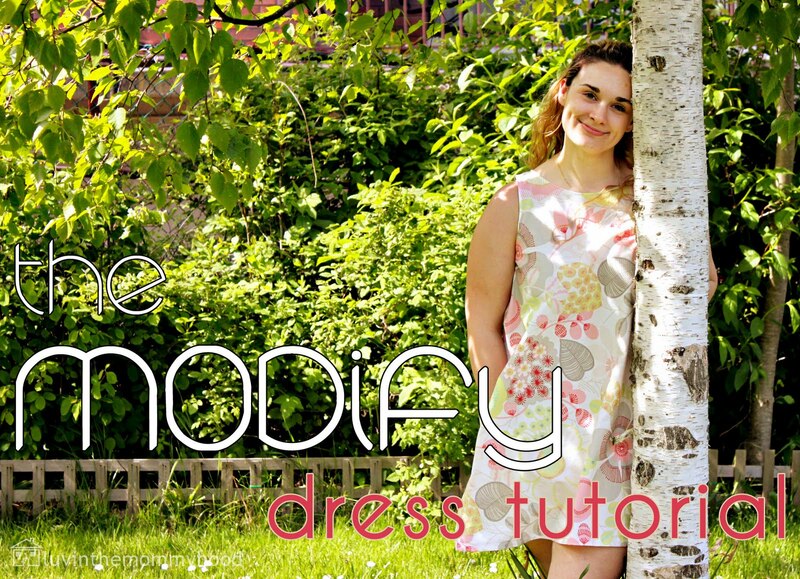 a) Draw your pattern onto your "mock dress" fabric using your body measurements and sketch of dress as a guide adding your seam allowance and ease to the drawing. 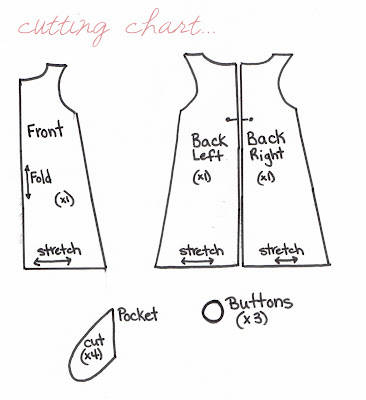 b) Cut out your pattern pieces taking care to make sure the fabrics give is going the right way. c) Pin dress and try on. d) I used a combo of pins and fabric marker to mark any changes I need to make in shape and sizing to my "mock dress". e) Baste the dress. I basted both side seams and the back seam and then the straps trying the dress on as I went making alterations as needed. f) Cut and trim any excess fabric you may have leaving only the 1/2 seam allowance. g) Pull basting out, press the pieces and use the front and back pieces as your pattern template. h) Place mock dress pieces on your dress fabric and get ready to cut. 1 - Front piece cut on the fold. 2 - Back pieces. One left and one right. 1 - Scrap piece of fabric big enough to cut out the fabric for your 3 covered buttons. ***Don't cut out or draw your pockets yet. We will do this in step 5. 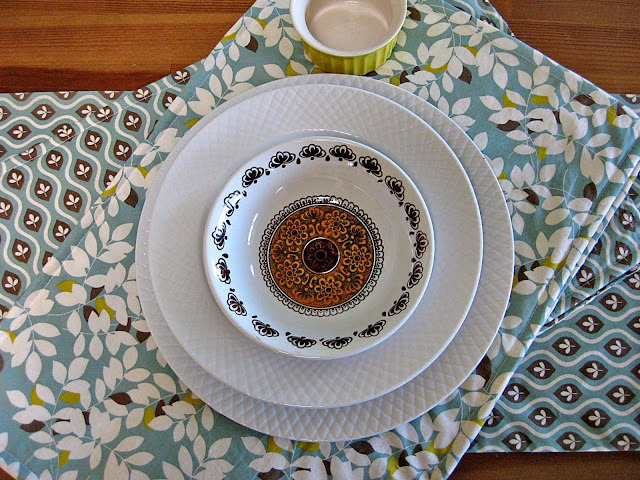 4) Iron and press all your pieces. You can never iron too much ladies so make sure to best bud it up with your iron. 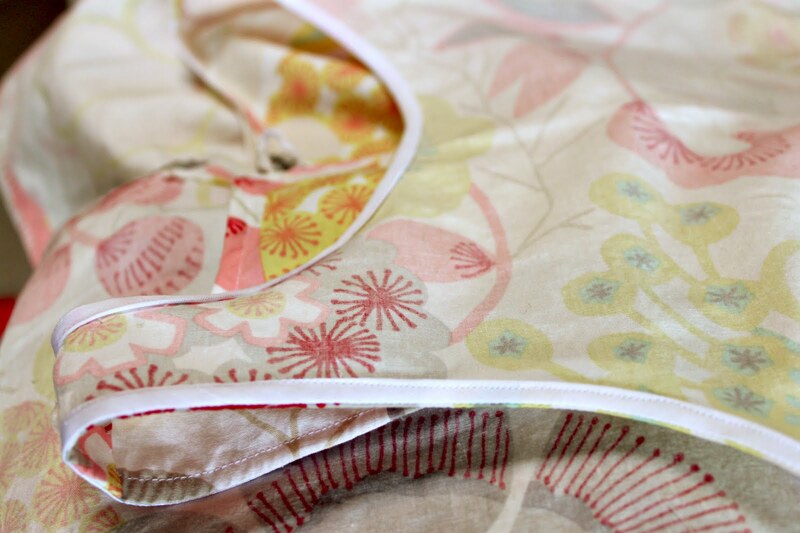 I also love to use some yummy linen spray when I iron to get those stubborn creases out of my fabric. 5) Cut out your pocket pieces. I like this one tutorial from "freshly picked" but you can draw your hand out and make your own pocket to your size liking as well. You will have 4 pieces all together. 2 pieces for each pocket. Use a fabric marker and mark placement of where you would like pockets to be placed on your dress on both the front and backs of the dress. Mine started " down from the top of my strap. Remember this is totally optional. Don't want a pocket? Skip adding it. Want a pocket on the front instead? Go rock it out! It's your dress and your style! 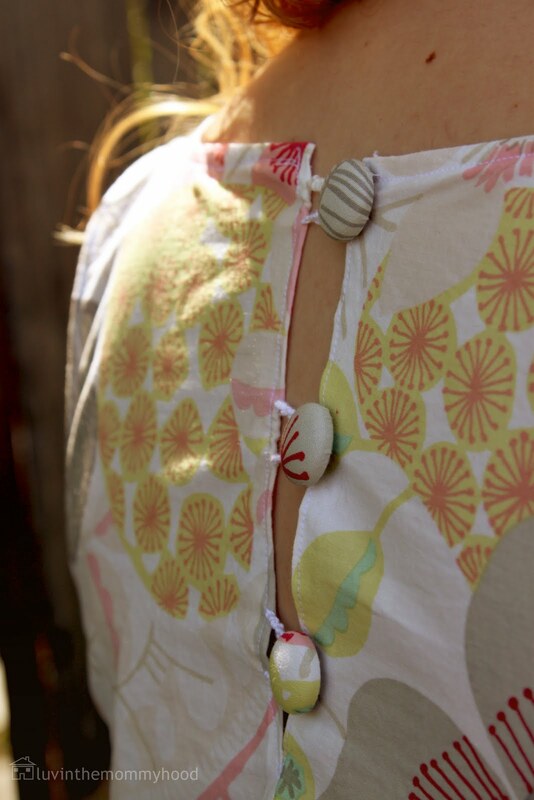 I've been digging all the side pocket looks so I knew I wanted to add them to this short, springy dress. 6) Ok, now you've got all your pieces cut out we're ready to....modify...and of course, sew! This is the fun part folks! Lay out your front piece right side up and let's get those pockets sewn on! a) Take your pocket pieces and pin right sides facing down (see diagram) to both sides of the front and to the outer sides of both of your back pieces. b) Sew along the edge of the pocket that matches up with the outer edge of your fabric with a 1/4" seam allowance. 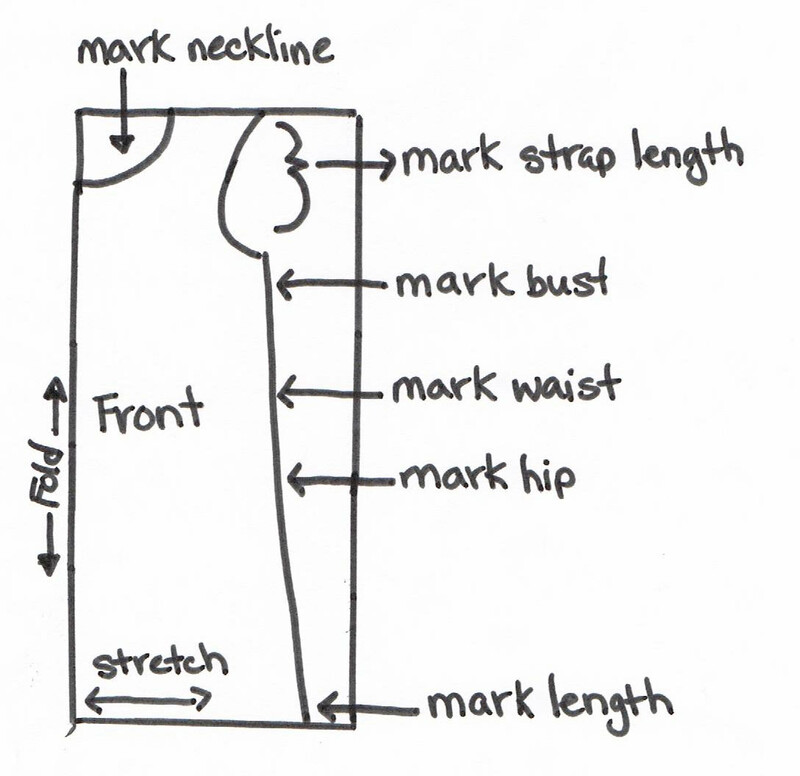 Make sure to use a smaller seam allowance than the one you are sewing the main parts of your dress with. c) Press the pocket pieces away from the dress. d) Pin your sides of the front to the sides of the back of your dress lining up the pockets. Sew your side seams together also sewing around the edge of the pocket as you go with a 1/2" seam allowance. See diagram. Finish seams with either a zig zag stitch or trim with pinking shears. Turn dress right side out and press the pocket inside and the outer edge of your dress. 7) Pin your two inner back piece edges together. Mark with your fabric pen where you would like your back opening to start. Mine was 6" down from the top. With right sides together, sew the back body pieces together making sure to stop at mark for where you would like your back opening to end. Finish seams with either a zig zag stitch or trim with pinking shears. Press open. 8) Try on your dress again. You're looking fab!!! Pin and adjust where you would like your straps. 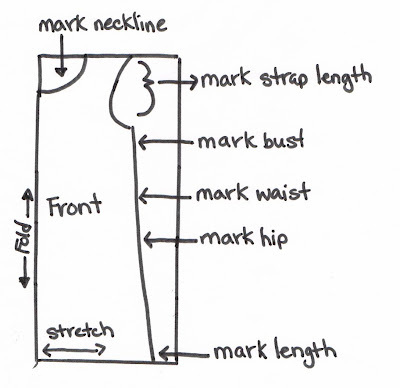 Also mark where what length you would like to hem your dress too. Take your dress off, turn inside out and sew along the strap edge. Finish this seam as well with either a zig zag stitch or trim with pinking shears. Press your seam open. 9) Now we're going to hem the dress. Using the measurement for length you took earlier and the marking you just made as a guideline for your hen length. I prefer to hem using a double fold hem or clean finish hem. You don't have to worry about unfinished edges and it always looks nice and clean. Here's a link to a great tutorial showing a double fold hem as well from Sew4Home. a) With wrong side facing simply fold (press as well) your unfinished edge up 1/4". b) Then fold (and press again) another 1/2"-1" depending on your hem allowance. c) Topstitch along the hem. I topstitched mine twice for a double seam because I liked the look. 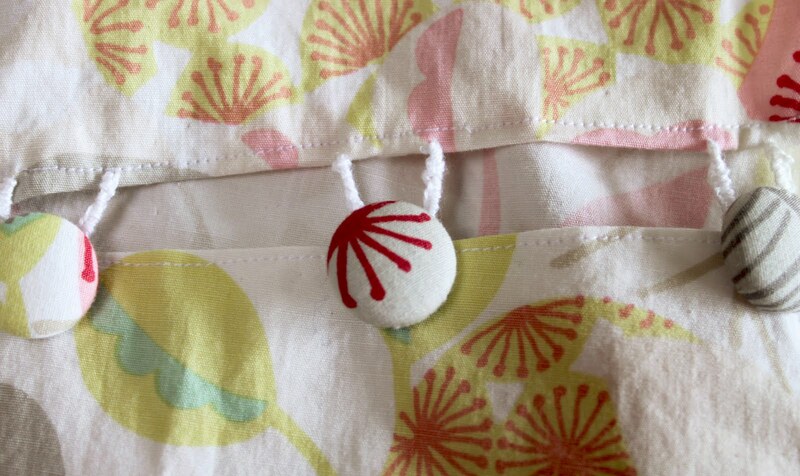 11) Cover your buttons with your fabric that you set aside (or use buttons of your choice). Mark placements of buttons making sure they line up with the loops you have made and sew them on. I am hopelessly addicted to fabric covered buttons so I did mine to match my dress. 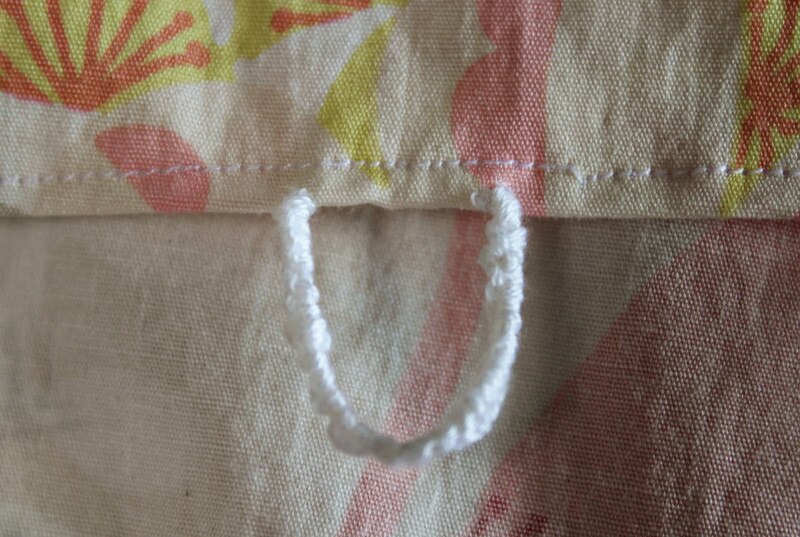 11) Sew down the outer edges of the back opening stopping at the bottom of the opening. 12) We're now going to finish off the edges of our neck and armholes. Option A) It's time to make some bias tape. 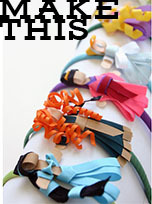 You can choose to finish with a different color or coordinating colored bias tape or you can simply make your own. I like to use this tutorial from Smashed Peas and Carrots as a guideline for sewing bias tape. I recently bought a bias tape maker and it's fun to use! Just remember to hold it up slightly while using to keep the ends folded nice and close and press as you go. 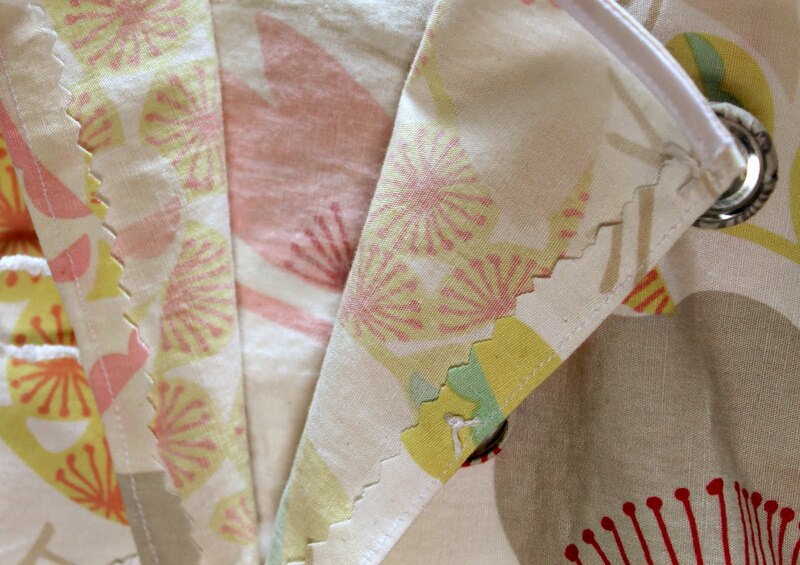 You can see more on making your own bias tape over on a great post on Made. Option B) Use the bias tape but have it not show. I love this method! It's fun and oh so easy to do and I like the finished look. You don't have to make your own bias tape and it's fast and easy to attach. I like to use the technique used on this tutorial from the lovely ladies over on Prudent Baby. I chose to do Option B for my dress. All rights reserved. For personal use only. 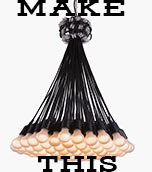 Please do not sell items made from this tutorial unless permission has been given. Which way would you wear The MODify Dress? With a belt? With heels or flats? As a tunic or dress? With sleeves or without? I can't wait to see what you all come up with!!! 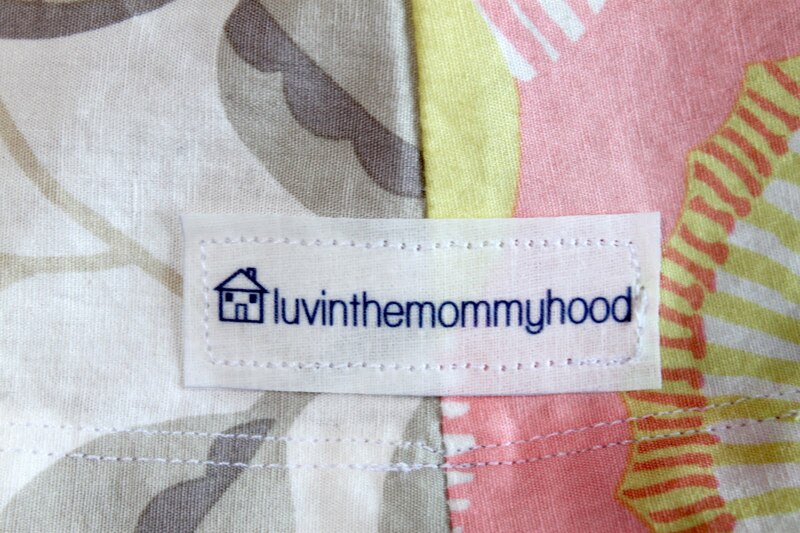 Make sure to add your creations to the luvinthemommyhood flickr group! Most of all remember to have fun, get creative and start sewing!! Stay tuned on luvinthemommyhood for a free, downloadable pdf of this pattern to come as well! I may even show ya some pics of moi wearing it...maybe..haha. Thanks again to Kathleen for having me and for all the inspiration you give to this wonderful sewing/blogging community! You are ahhhhhmmmaazing! Thank you Shannon for all your thoughtful words! 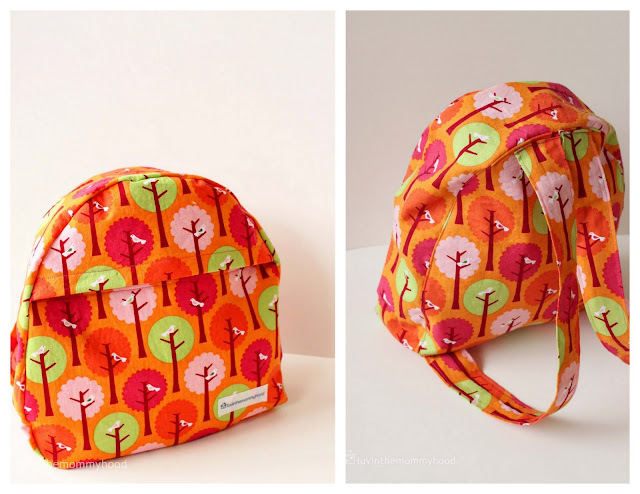 And thank you for taking the time out of your busy life as a mommy and blogger to be a part of Free Pattern Month. It was great having you! Stay tuned tomorrow for Chie of Viva Veritas. Can't wait to try this - I'm due for a new summer frock! Thanks you guys! So sweet of you! 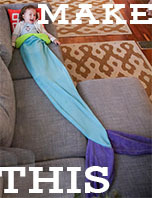 making one soon! really, i love a simple a-line dress. :) cute sketches too. This is so pretty! I truly can't believe how talented some people are!! Thanks for sharing.. So Cute.. Best Regards : Fitinline..